Eat or be eaten--such is the law of nature in the glacial white land where White Fang was born. Jack London's celebrated story has been adapted for young readers and is accompanied by beautiful illustrations. 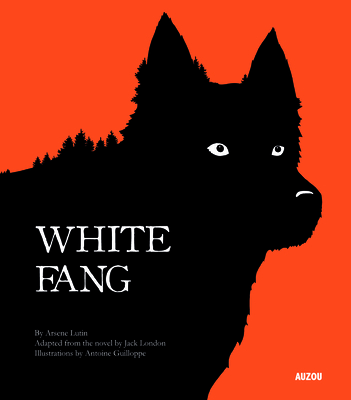 "Suitable for young readers of all ages, White Fang is the picture book adaptation of American author Jack London's classic novel about the life of a wolf-dog crossbreed. Bold color illustrations bring the story of White Fang's survival against the cruelties of both nature and man to life (violent moments, such as when White Fang is forced by a cruel master to fight other dogs for blood sport, are pictured in silhouette). As White Fang passes from master to master, some are abusive and others are kind; White Fang must fight not only to survive, but also to protect. The story does not use text directly from Jack London's works, instead summarizing the novel's plot in short sentences that will be readily accessible to young readers. "One evening, while White Fang is asleep in front of his master's bedroom, he is woken by a sound coming from the floor below. Alert and attentive, White Fang slinks downstairs to find a criminal has broken into the house White Fang, a loyal protector to his family, springs at the intruder " An excellent way to introduce young people to Jack London's iconic work of literature, White Fang is highly recommended, especially for public library children's collections."